When I was picturing my first week in Greece I did not imagine that I’d be sitting in an apartment, tucking into homemade Vietnamese soup and daydreaming about Ho Chi Minh City. However yesterday that was exactly how I spent my evening. As a volunteer with K. A. N. E. I have been lucky enough to meet Thanh Vy, who works for SJ Vietnam (Solidarités Jeunesses Vietnam), an international youth NGO (Non-Governmental Organisation). Vy has spent the last two weeks job shadowing at K. A. N. E. – learning about the organisation, sharing information, ideas and good practice. Vy very kindly invited me and another guest over to her apartment that she is staying in to sample some Vietnamese cuisine. Vy’s hometown is Quang Nam Province (near Da Nang City) and this is where the food comes from. Below are some photographs and descriptions of the delicious chicken noodle soup we ate. Here you can see the chicken, onions, pepper, chili, turmeric. The onions, chili and fresh turmeric are chopped, mashed together with oil and then added to chopped chicken. They are left to marinate for 15 minutes before cooking. 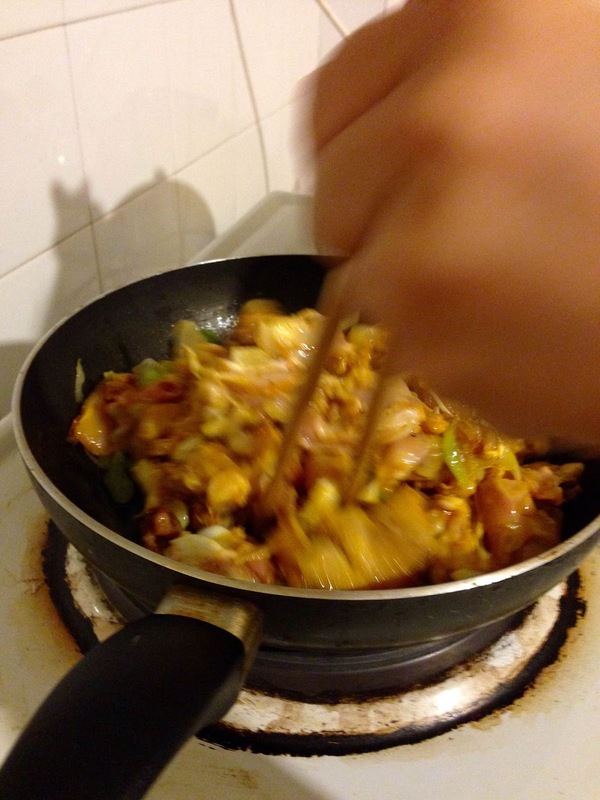 Vy cooking the onion chili chicken mixture. This is fried in oil and then tossed with chopsticks in the pan. The mixture is then turned into a soup by adding a little water and cooking it some more. The noodles are cooked in a pan with water. 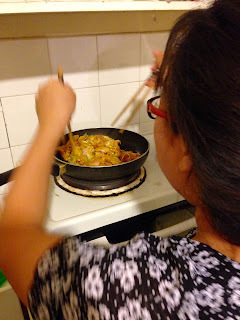 Usually rice noodles are used but we made do with egg noodles this time. Salad. The salad is eaten with the soup. It is usually made up of lettuce, coriander, banana flower and lime (we used some local tomatoes and gave it a Mediterranean twist!). 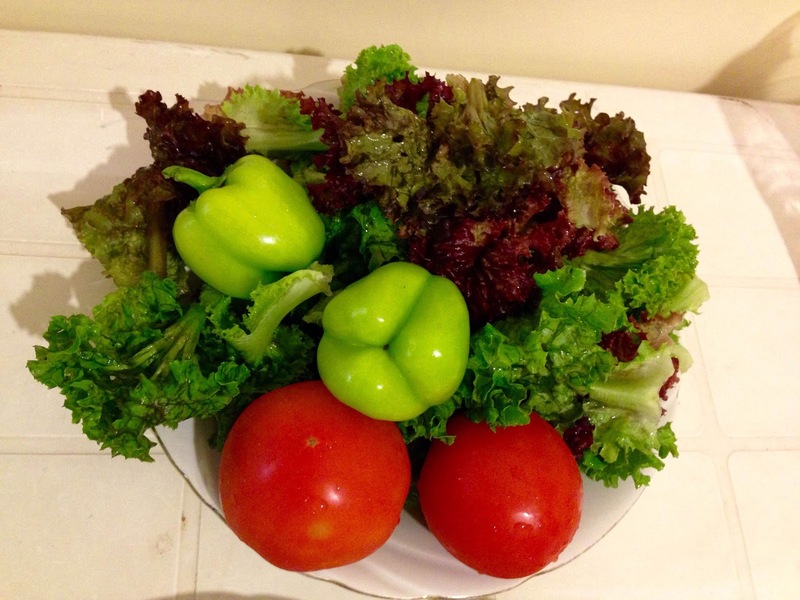 The lettuce leaves are washed two or three times with care. The chicken bones are used as well, they are cooked in a pan to make a flavoursome broth. This water is then added to the chicken mixture. 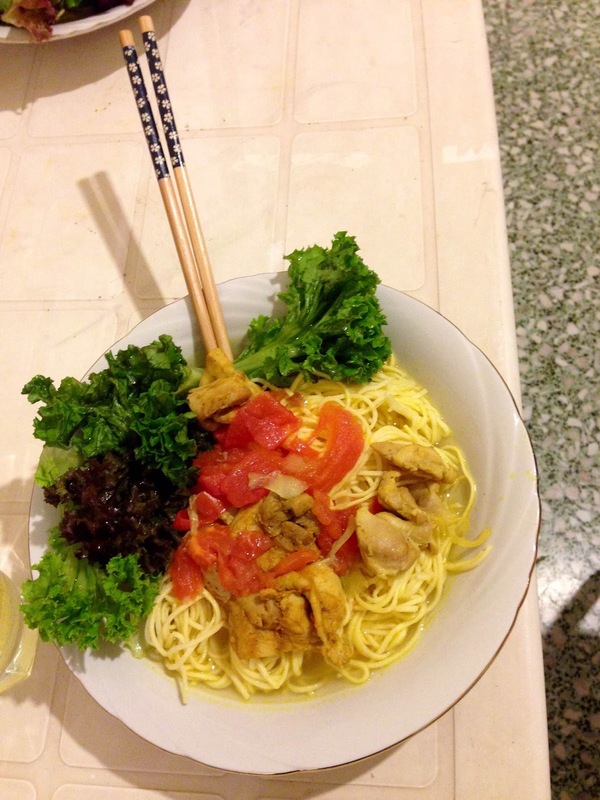 “Oi ngon qua!” as they say in Vietnam – yummy! A delicious combination of warm soup and refreshing salad. 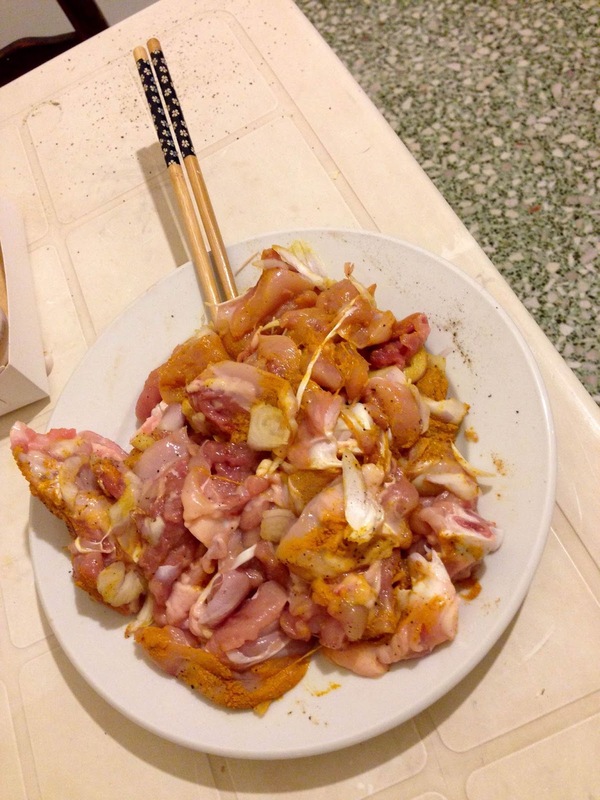 In Vietnam annatto seed oil and fish sauce, garlic and chili mashed are added at the end to season the dish. After eating we drank some rice wine made by Vy’s mother! This is made using sticky rice and yeast over the course of a couple of months. I also learned my first few facts about Vietnam. Hanoi is the capital but Ho Chi Minh City is the biggest city. only have traditional Vietnamese houses. In fact it is a designated UNESCO World Heritage Site. The most important fact I learnt, however, was that Vietnames people are incredibly kind and hospitable!